In this Dec. 14, 2011 photo, Univision newscaster Jorge Ramos works in the studio in Miami, Fla.
Univision said journalist Jorge Ramos and a TV crew were "arbitrarily detained" in Caracas, Venezuela, Monday after an interview with President Nicolas Maduro was abruptly terminated. 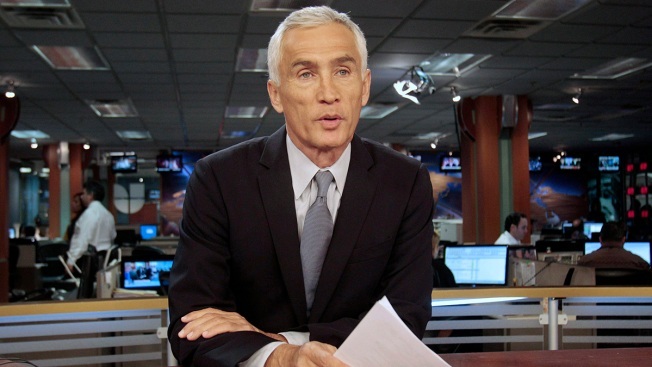 In a tweet Monday night, the Spanish-language news network said that "a @Univision team, headed by @jorgeramosnews, is being arbitrarily detained at the Miraflores Palace in Caracas. They were interviewing @NicolasMaduro but he didn't like the questions. Their technical equipment was also confiscated." Western Hemisphere Assistant Secretary of the State Kim Breier Tweeted that the State Department had received word of the detention and insisted on their immediate release, warning that "the world is watching." Minister Jorge Rodriguez responded for the Maduro administration on Twitter by calling the reported detention a "new fake allegation." 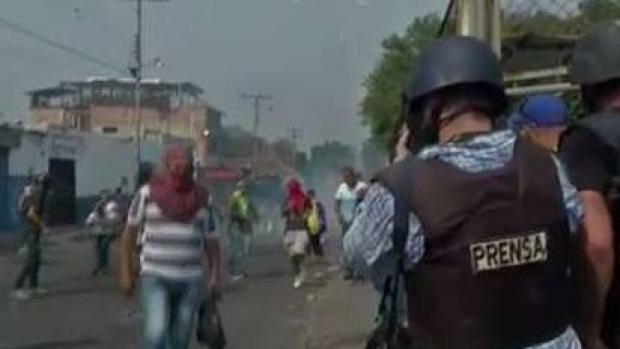 According to Univision president Daniel Coronell, the crew was later released, but their recording equipment and records of the interview remained confiscated by Maduro loyalists. Coronell said in a tweet that he spoke with Ramos over the phone after he and the crew were released. Coronell also said that he confirmed Ramos' release with the Maduro regime's communications minister. Speaking from Caracas Monday night, Ramos told Univision anchor Patricia Janiot during a phone call that aired on the network’s broadcast, Maduro didn’t like the questions he was asking about the country’s humanitarian crisis and after showing the president photos he had taken of Venezuelans eating out of trash cans on the street, Maduro left the interview. Ramos told Janiot they were then held for more than two hours and placed in a dark room for some of that time. Janiot said Venezuelan Communications Minster Jorge Rodriguez told Univision that Ramos insulted Maduro repeatedly by calling him a dictator and murderer. Ramos made headlines in 2015 after then-candidate Donald Trump had him removed from a news conference when the Miami-based anchor attempted to engage with the GOP front-runner as he recognized another reporter. Ramos was trying to question Trump on his proposal to deport 11 million undocumented immigrants. As the two spoke over one another in a testy back-and-forth, Trump’s security detail approached the Mexican-American journalist and escorted him out of the room. Ramos was eventually allowed to return to the presser and Trump called on him to ask a question. A security guard removes Univision anchor Jorge Ramos from a news conference on Tuesday in Dubuque, Iowa. Ramos stood up and began to ask Trump about his immigration proposal.